Perth, Sep 15, 2011 (Global Fashion Wire) - The Third International Conference of Fashion Incubators was held at the Parmelia Hilton in Perth until the 13th of September and Conference Speaker Lenore Dembski would like to commend two organisations for their outward commitment to Indigenous Australians that are involved in any aspect of the textile, clothing, footwear and leather industry. Lenore also holds a number of other positions. She is the Manager, Staff Development and Training of the Aboriginal and Torres Strait Islander Commission in Darwin and is a newly appointed member of the Australia Council's Aboriginal and Torres Strait Islander (ATSI) Arts Board. She is well known for her public service work in the Aboriginal and Torres Strait Islander employment and training area and her involvement with Aboriginal and Torres Strait Islander organisations. In 1996, to coincide with the Aboriginal Development Unit's project to help promote Aboriginal fabrics to designers and the general public, Lenore started to actively produce resort wear, and evening and glamour wear using Aboriginal fabrics. Lenore has won a number of awards for her clothes and a Prime Ministers award for her business and community involvement. Lenore has three garments in the Bayagal Collection at the Powerhouse Museum. In 2003 Lenore was one of 75 individual artists that created etchings as part of the 2003 Garma Panel and Prints Project. Lenore Dembski addressed the Conference about developing a fashion and textile incubator for Aboriginal and Torres Strait Australians. The incubator supports individuals and groups to produce and market their products ensuring that all stages of the process such as costing, quality control, sourcing raw products, and accounting are taken into consideration by the designer. Lenore is proud of the way that supporting organisations of the Third International Conference of Fashion Incubators such as Textile Clothing Footwear Resource Centre of WA (TCFWA) and Perth Fashion Week are embracing Indigenous artisans and designers in the industry. 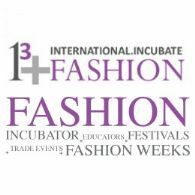 Carol Hanlon, Convenor of the Third International Conference of Fashion Incubators and Founder of TCFWA said, "We have always supported Indigenous designers, and at every opportunity showcase their work, and assist them in developing their businesses". Sylvia Giacci, Director of Perth Fashion Week said, "Indigenous Australians, place great importance on artistic activity as a way of expressing experiences and emotions and teachings. Fashion is an immediate way that a person can express how they feel about themselves and their culture, political views and aspirations. An integral part of Perth Fashion Week will be Indigenous designers showcasing their collections. This will empower the Indigenous community, while providing opportunities and bring awareness to the creative talent and heritage of our state".